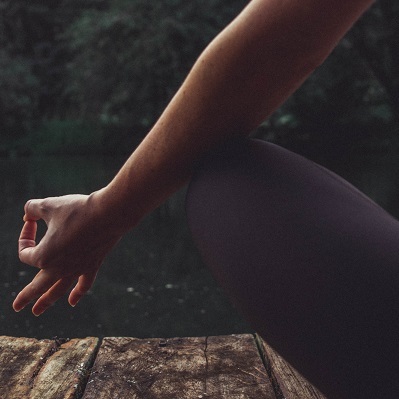 This retreat is designed to provide yogis of all-levels with an opportunity to unplug, reset, and reconnect with themselves on a deeper level. Our twice daily yoga sessions and nutritious, plant-based meals will nourish our bodies physically and mentally, while connecting with our community and participating in carefully curated local experiences will nurture our spirits. We'll stroll through Balinese rice paddies, interact with long-tailed macaques in the Sacred Monkey Forest, hike to the top of a beautiful waterfall, then swim in its cool waters below. And we'll take a class at the world renowned Yoga Barn! Any questions about this transformative experience of a lifetime? Email Kelcie at kelcie.evenson@gmail.com. 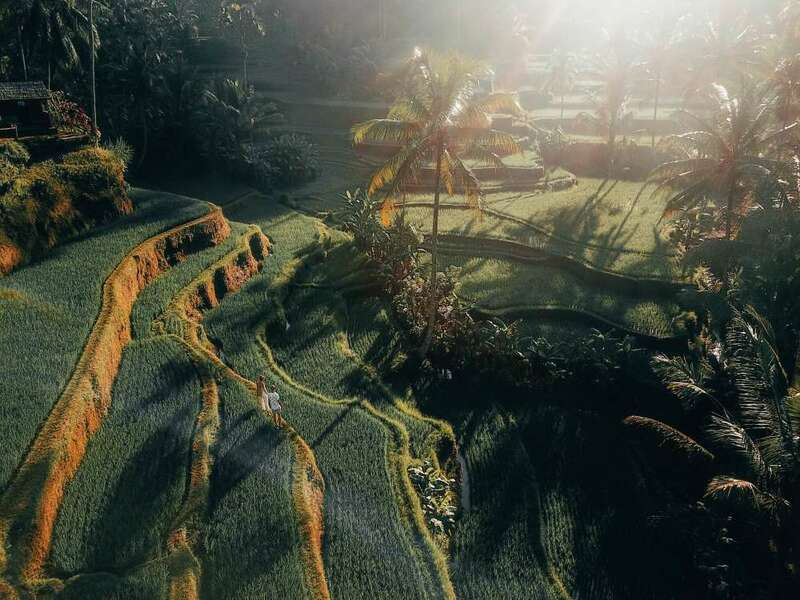 The Custom Experiences team will meet you at the airport and after meeting all of your new friends, we’ll take included transportation to our villa accommodations located in the rice paddies of Melayang Village, just outside of Ubud. Recover and relax after a long flight at the villa and enjoy the natural surroundings. Enjoy a delicious Balinese buffet at our opening dinner at the villa. Get to know the other like-minded travelers on the trip and begin to settle into Bali. Wake up for your first day in Bali with a yoga practice followed by breakfast. Walk through the local community of Melayang village and learn about Balinese culture as you visit a compound and temple. Take a walk amongst the rice paddies observing traditional farmers cultivate the fields. 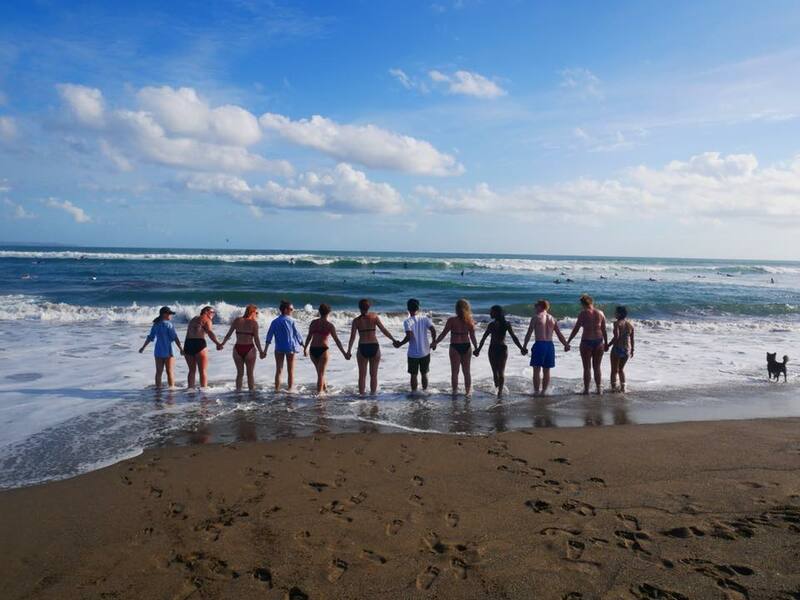 Settling into the relaxed Balinese lifestyle, begin to focus on mindfulness with a group coaching session. Twist, turn, stretch and breathe with yoga instruction from our certified yoga trainer. Then, cool off in the pool and listen to the nocturnal animals come alive at the villa. Test your taste buds with more delicious Balinese cuisine then head off for an early night’s sleep.. 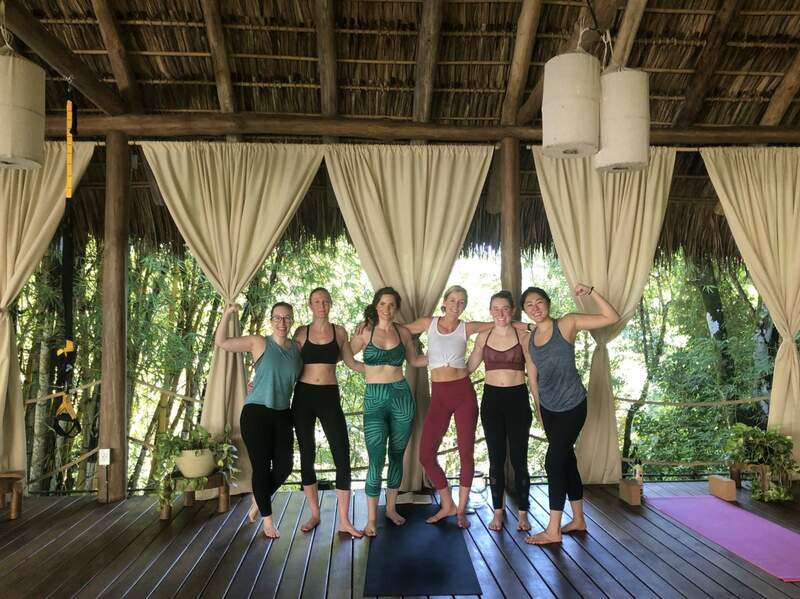 Feeling refreshed after a good night’s sleep, join in on a lighthearted yoga session overlooking the jungle. 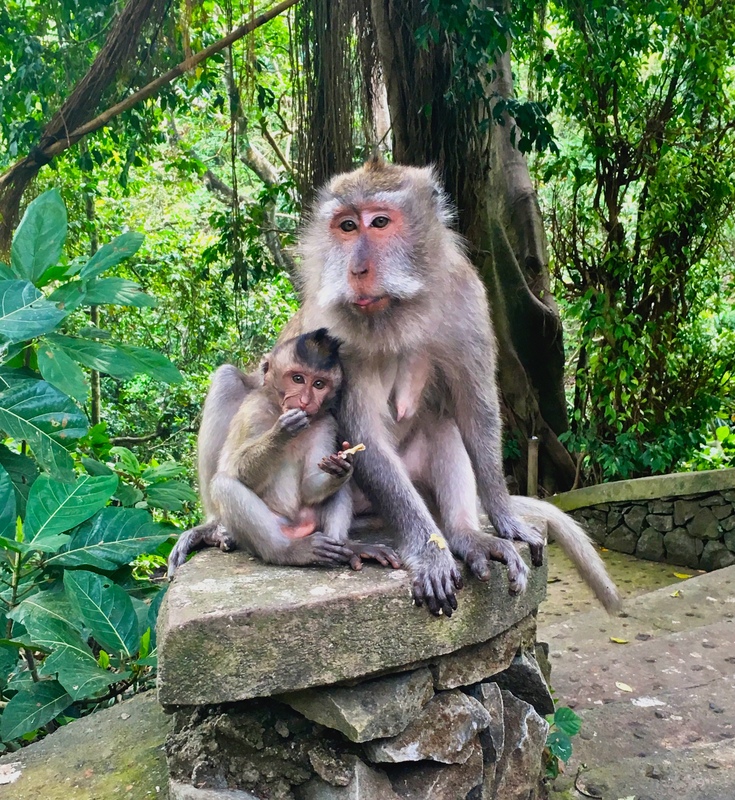 Watch playful grey long-tailed macaques swing among the canopies and feed on bananas as you stroll through the Sacred Monkey Forest. Return to the villa for our Inversion Workshop Session. ‍Fill your appetite with a healthy dinner and gather with friends to end your day. Begin your morning with a yoga practice and then enjoy a healthy breakfast at the villa. Take included transportation outside of the village to Tegenungan Waterfall. Swim in its cool waters and climb to the top for breathtaking views. 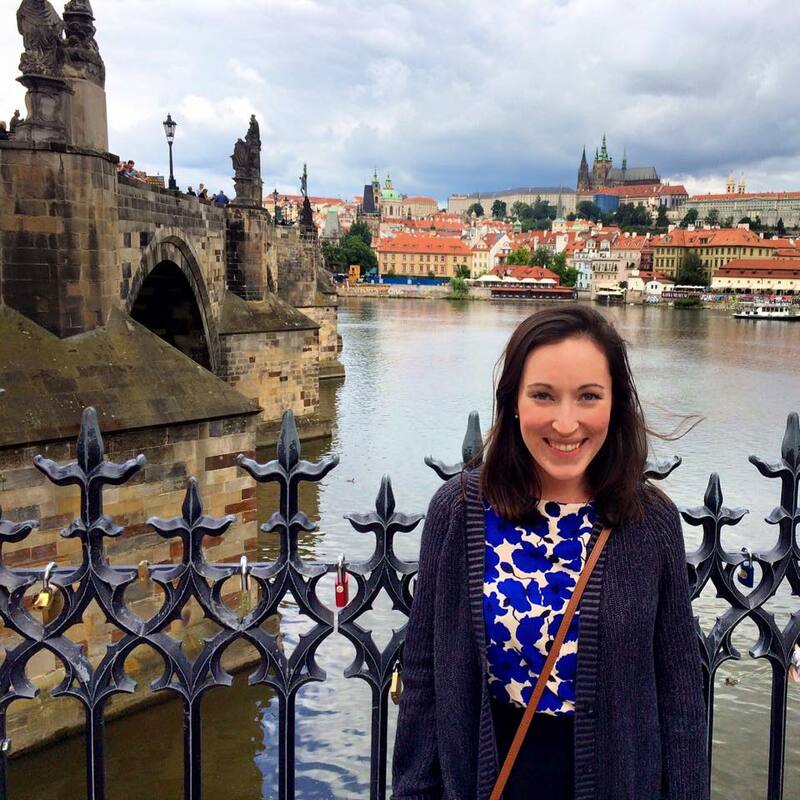 Then we'll explore the town where you'll have the opportunity to see the local spots! Fill up your appetite with a family-style dinner at a renowned vegan restaurant. Continue the development of mind, body and spirit with a morning yoga session. Cruise into the town of Ubud to visit the famous Yoga Barn, an oasis of tropical flowers, bamboo and lotus-filled ponds. Choose from a variety of yoga and meditation classes. 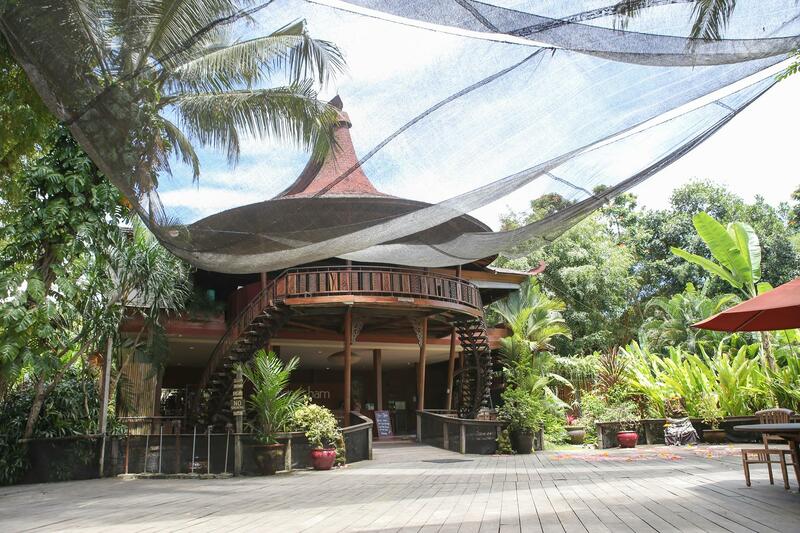 Enjoy lunch at the Yoga Barn’s Garden Kafe, known for serving up some of Ubud’s best selection of wholesome foods. Combine your afternoon with additional yoga classes, Spa day at Taksu, shop around town, or enjoy a free afternoon to explore on your own. Return to the villa for a night of relaxation under the stars and conversations with friends. Continue the development of mind, body, and spirit with a morning yoga session. Relax at the pool or take a walk around the village compound while savoring this countryside haven of Bali. Spend your afternoon with additional yoga classes, shopping around Ubud, or a Spa day at Taksu. That evening, join in on dancing and watch a performance by the Children’s Orchestra of Melayang village during our final dinner. Enjoy a peaceful breakfast at the villa as you reflect upon your Bali experience. Organize an optional return to Ubud for last minute shopping or a massage. Be sure to exchange details with your new friends and keep in touch!